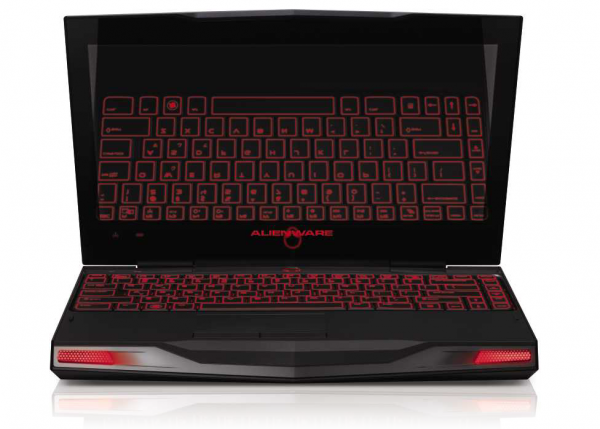 Last month I had a chance to meet up with Alienware at E3 2010 regarding the second revision of the company’s portable 11-inch gaming rig, the M11x. While it might be a bit small for some, it manages to outperform many larger laptops despite starting well below the $1000 price point. Although the model that Dell originally launched at CES 2010 only featured a dual core processor, last month’s refresh brings configuration options for Intel’s Core i5 and Core i7 CPUs. This laptop is really shaping up to be one of Dell’s best offerings, one that’s great for both students and gamers. 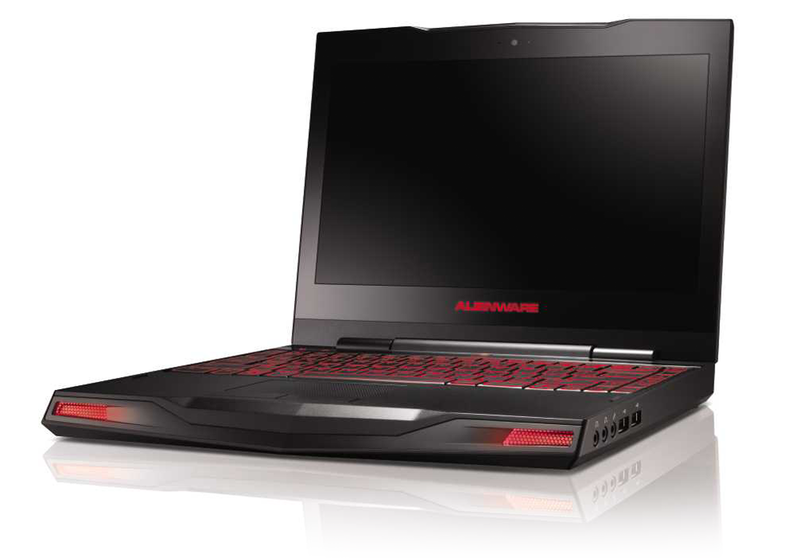 While the M11x originally sported a glossy coat, Alienware replaced it with a soft black matte finish in the new refresh. While the company didn’t comment on the reason for the change, I’m sure they received plenty of negative feedback from gamers. Aside from that change, the rest of it is quite familiar. After spending just a few minutes handling the new model, one thing stands out the most: the M11x is built like a tank. It is still one of the most solid laptop’s I’ve come across. It might be due to a smaller chassis that leaves little room for flex, but it doesn’t matter. It’s rugged enough to last through at least a few years of abuse. And that’s a good thing since the 11-inch size targets users that intend to keep the laptop with them at all times. After switching over to the Intel Core i7 and i5 processors, Alienware was forced to remove one port due to space constraints: VGA. Fortunately, that’s a change for the best since most new displays use HDMI and DisplayPort, which are already featured on the M11x. For those that need to deal with older displays, DisplayPort-to-VGA adapters are available. Other components such as Firewire, the 3-in-1 card reader, Ethernet, and three USB ports remain unchanged. And for those that didn’t know, the M11x completely did away with the Optical CD/DVD drive. As most gaming publishers are offering digital downloads of games, physical media is simply unnecessary. Dell even offers an option during checkout to pre-install Steam. Aside from watching DVD movies, I simply can’t remember the last time I used a CD to install a program aside from Windows 7 installation disc. While the dual core model was well-recognized for an impressive battery life, which was unheard of in the gaming laptop industry, the new quad core models suffer a minor dip. The performance improvements the Core i7 and i5 models bring are truly impressive, but they simply consume more power than the older dual core consumer ultra-low voltage processor. The new Nvidia Optimus technology even automatically switches back and forth between the faster 1GB GForce GT 355M discrete graphics card and the slower Intel GMA 4500MHD, but even that isn’t enough. While the internal 8-cell Lithium-Ion battery offered over six hours of battery life on the dual core model, the new model gets just five hours. Regardless, it still runs for longer than competing machines. As with just about any Alienware machine, a built-in application lets customers tweak LED lighting settings for the logo, ventilation, and keyboard. Customers can even unscrew the entire bottom plate to manually upgrade or replace the battery, hard drive, or RAM. Looking at Dell’s current lineup, the Alienware M11x sits in a unique spot. It’s almost small enough for classification as a netbook, but it offers comparable performance to 15-inch laptops. That makes it a great option for both college students and gamers. The laptop offers enough battery life when running on the integrated Intel GMA to last through an entire day’s worth of classes. It makes for a great note taking laptop, especially with a back-lit keyboard. It’s also rugged enough to carry around without falling apart easily. And for gamers, it’s probably the only lightweight solution available. Sure, it doesn’t compare to the performance of the M15x or M17x, but those are power hungry and heavy devices. The M11x manages to squeeze out nearly two hours of battery life for graphics intensive games such as Mass Effect 2 or Call of Duty: Modern Warefare 2 while maintaining great frame rates and decent rendering levels. Since Dell discontinued the Studio XPS 13, the Alienware M11x is suddenly a great option. As my XPS M1530 is starting to get old, it’s something that I’m considering myself. I’ll probably be using an external monitor, keyboard, and mouse when at home, but it still gets the job done just about everywhere else. We at Skatter Tech will be getting our hands on one of these units from Dell very soon, so stay tuned for a full in-depth review. ViewSonic ViewPad 10: Are Dual-Booting Tablets A Bad Idea?